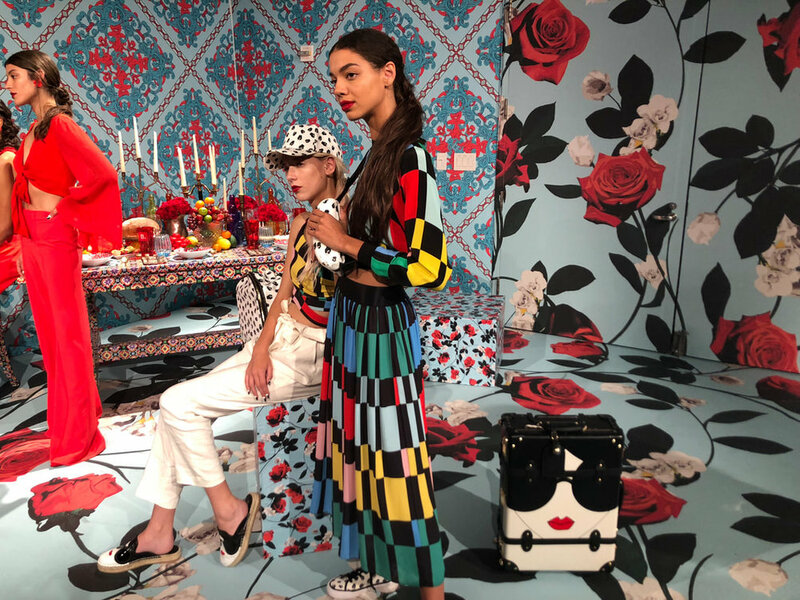 Alice & Olivia’s official New York Fashion Week Spring ‘19 Presentation was bold, bright, and beyond fabulous. 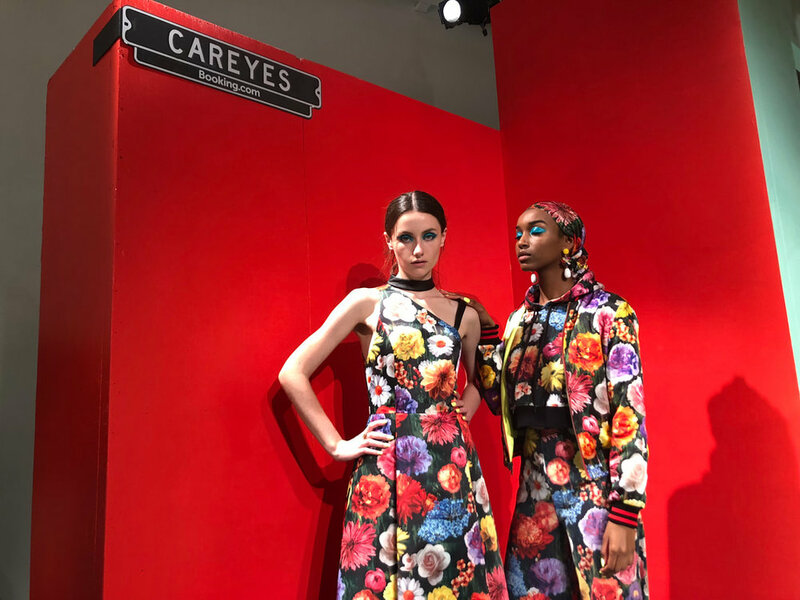 There were seven sections dedicated to different, exotic destinations in honor of the "Passport to Wonderland" theme: Paris, Provence, Tokyo, Careyes, Positano, Marrakesh, and the brand’s fantasy Wonderland. The clothes perfectly captured the essence of each city, with playful backgrounds (lavender lucky cat clocks waving!) 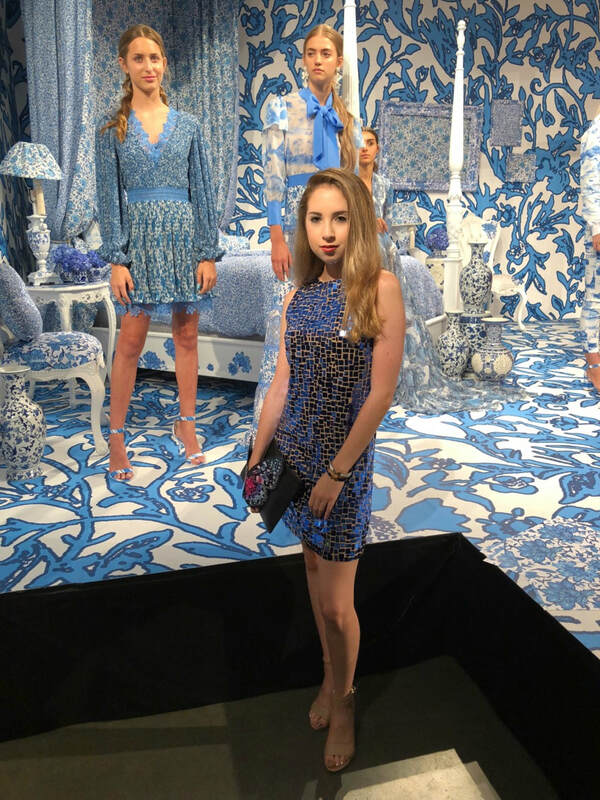 and vibrant wallpaper setting the scene. 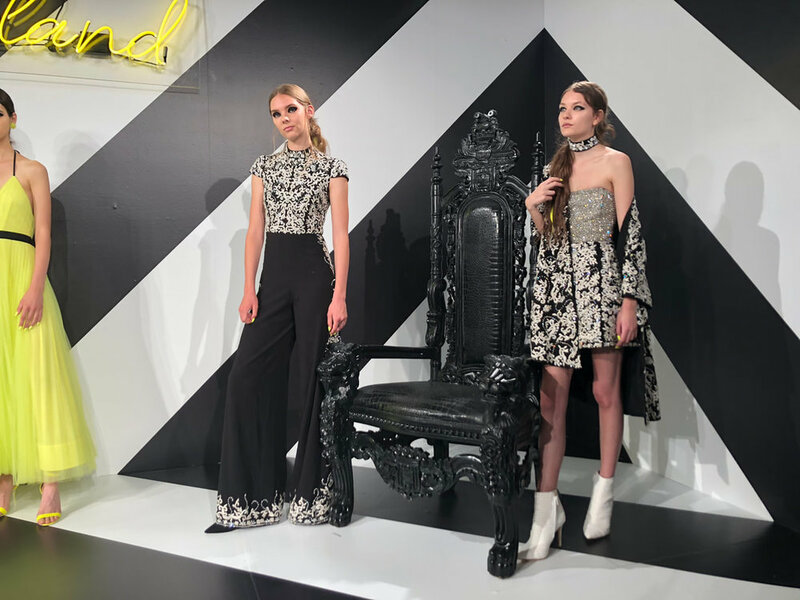 But at the center of it all was Stacey Bendet herself, the driving force behind Alice + Olivia, dressed in a Baroque-inspired black and white lace tiered frock of her own design. 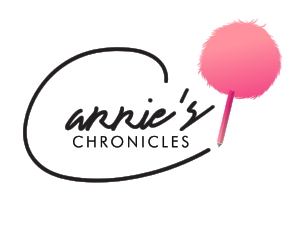 With a crown of doves across her updo, she could have easily been mistaken for real royalty. 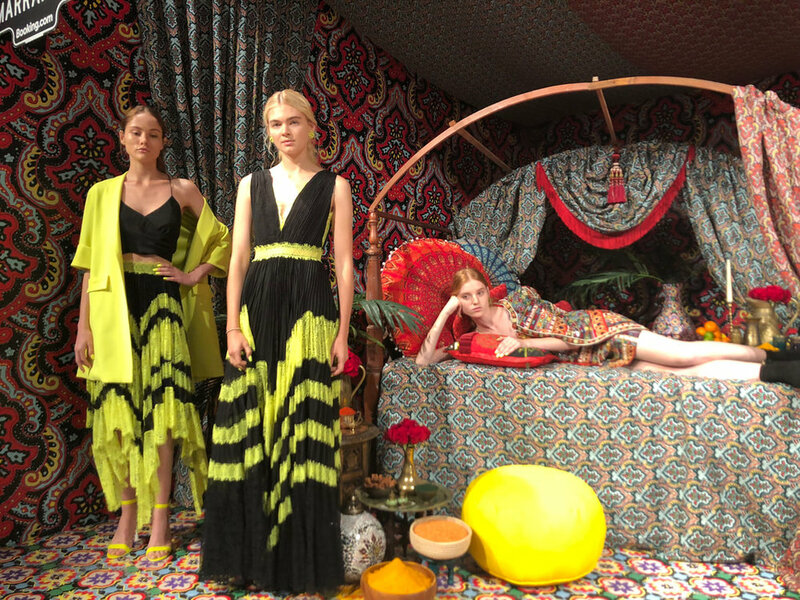 As Bendet has explained to the press, her new collection focuses on “connectivity.” Although the world is diverse, “fashion connects women all over and from all different parts of life,” said Bendet. 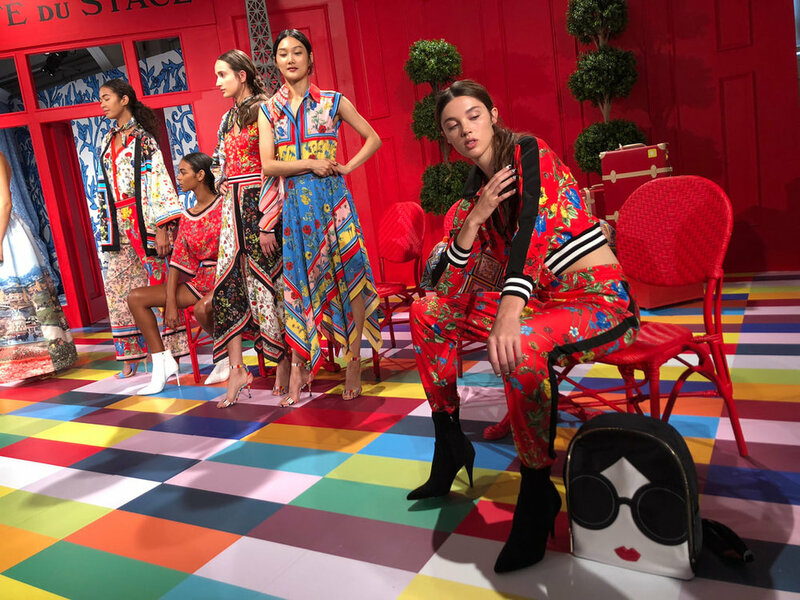 For the presentation, Alice + Olivia decided to hire models from all over the globe to enhance their goal of bringing people from different cultures and societies together. 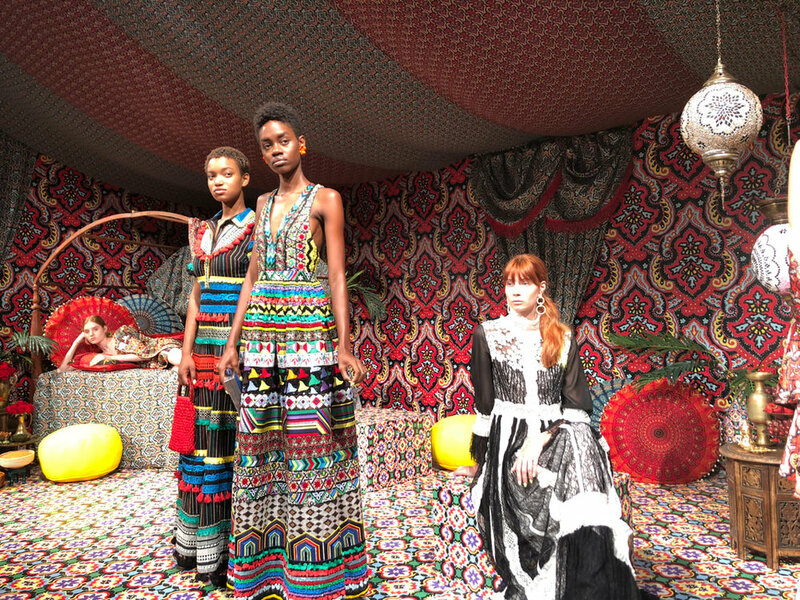 The fact that guests were involved in the walk-around experience, with loud, uplifting music playing the entire time, just made it all the more magical. 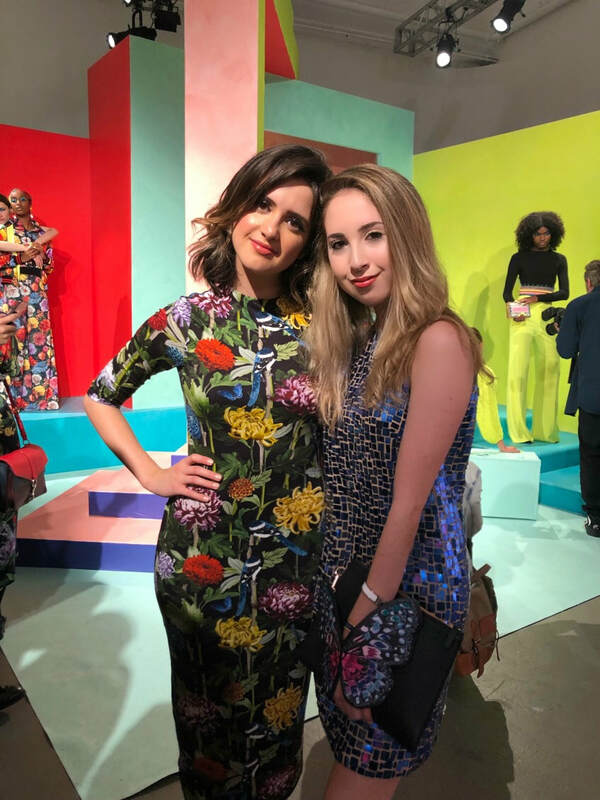 The studio at Pier 59 was filled with A-list celebs eager to view the brand’s newest collection, including Katie Holmes, Caitlyn Jenner, Victoria Justice, Tinsley Mortimer, Kelly Rutherford, Laura Marano, and Alisha Marie. 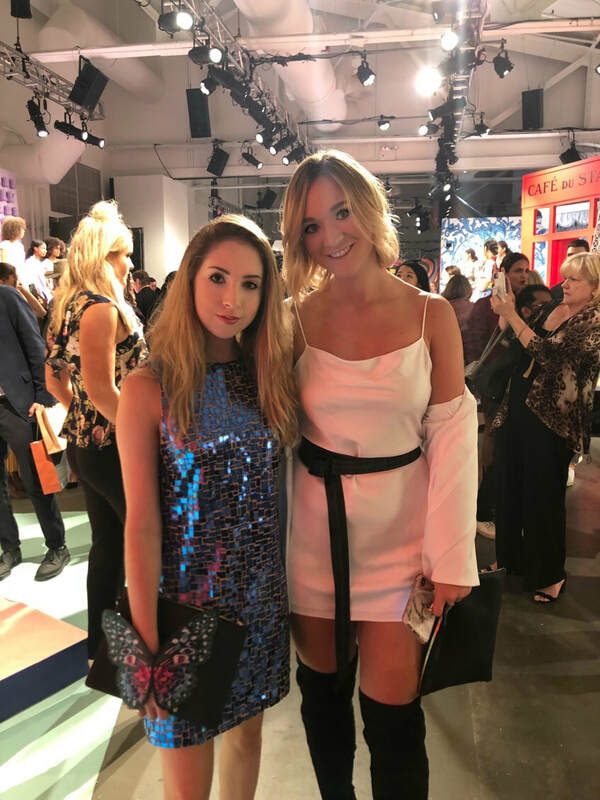 As soon as they arrived, they made sure to pose for pictures in front of a black and white striped “optical illusion” background for the press. 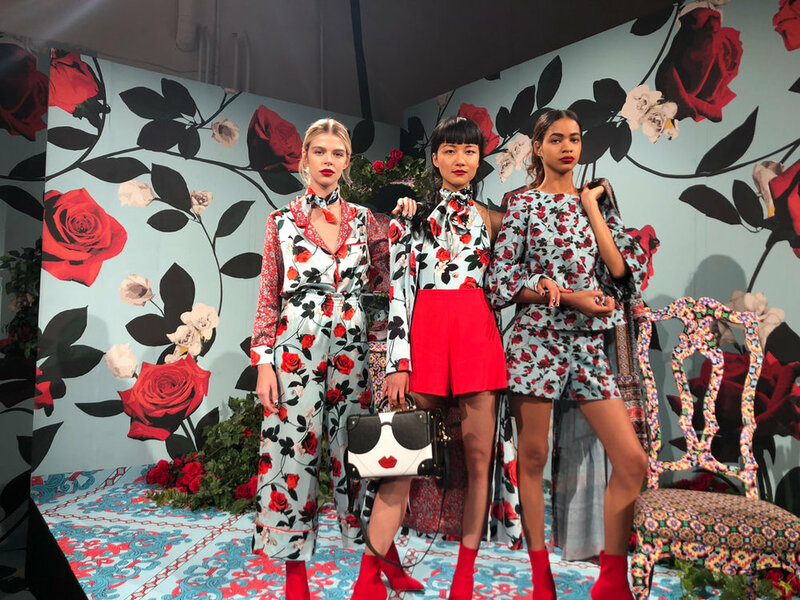 Alice + Olivia is not just a clothing brand that makes stunning designs—they’re a company with a mission to highlight the common thread between women around the world: fashion. 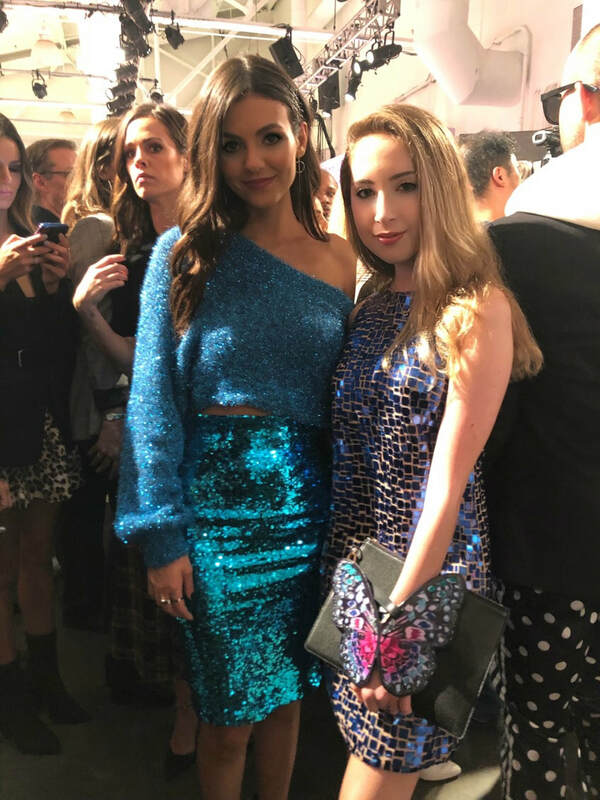 Although we all come from different places and have unique tastes in style, our passion for fashion brings us closer together than you could ever imagine...just ask A + O.